Two days before issuing his first, ill-fated travel ban, which triggered chaos at airports around the world, President Donald Trump issued a related executive order which has caused a less visible form of bedlam at city halls and county seats throughout the country. With Executive Order 13768, issued on January 25, Trump purported to empower the attorney general and secretary of Homeland Security to cut off and claw back federal funds that go to so-called “sanctuary” cities. On April 14, the city of San Francisco and county of Santa Clara (which includes San Jose, Palo Alto, and much of Silicon Valley) will go to federal court in San Francisco and ask U.S. District Judge William Orrick to block the order. The plaintiffs, which have received support from 34 other municipalities and scores of nonprofit social-welfare agencies (which survive on federal funds passed through municipalities), are two of at least six cities or counties that have sued over the order. According to Washington Post research, there are between 165 and 608 municipalities in the country that might be considered “sanctuary jurisdictions,” depending on how one defines that term. Characteristically, the executive order does not bother to offer its own definition except by implication, heightening confusion among municipal officials. The lawsuits bear some obvious similarities to the travel-ban litigations we have already seen, yet they also have marked differences. The key parallel is that the order being challenged appears to have been drafted in haste and with astonishingly little input from experts. The difference is that its constitutional flaws appear to be multilayered, fundamental, and unsalvageable. The second travel ban — after substantial revision by competent lawyers — is now defensible as written, and becomes vulnerable only if one considers its overtly anti-Muslim provenance. It may well pass muster before our majority-conservative Supreme Court, now that Judge Neil Gorsuch is officially seated. The same cannot be said of the sanctuary-cities order, which appears to offend the principles of separation of powers, due process, and interpretations of both the Tenth Amendment (establishing that the federal government only has powers specifically delegated to it by the Constitution) and limits on Congress’s spending power that have been mainly championed by conservative justices — including President Trump’s own claimed judicial hero, Antonin Scalia. “Even if the executive order were an act of Congress, or authorized by one, it would be unconstitutional,” write Santa Clara’s lawyers, from the law firm of Keker, Van Nest & Peters, in the county’s complaint. But, of course, it is neither. So far, in fact, the Justice Department has not disputed the Keker lawyers’ crushing legal critique of the executive order. Instead, it has adopted a version of the now-familiar refrain with which the president’s lawyers and handlers defend so many of his statements: We mustn’t take him so literally. The order’s defunding provision “does not change existing law,” the Justice Department lawyers argued in papers filed last month — a stunning claim that makes one wonder what was the point of the section, or of the fanfare surrounding it. They suggest that the order need not be applied as broadly as its literal language might permit. Since the secretary of Homeland Security has not yet designated any city a “sanctuary jurisdiction” — the event that, according to the order’s terms, triggers the attorney general’s obligation to take “appropriate enforcement action” — they argue that the lawsuits are premature (or, “not ripe,” in lawyers’ terms), and that the plaintiffs lack “standing” to sue (i.e., haven’t been harmed yet) and do not face “irreparable harm” (a necessary condition before they can win a court injunction blocking the order). If the Justice Department is correct, then, might the defunding threat really have just been an empty, symbolic propaganda gesture? “It’s a propaganda gesture that could have severe consequences,” says Andre Segura, a senior staff attorney with the ACLU’s Immigrants’ Rights Project. It’s already throwing budget officials into a panic, he says, as they try to plan without knowing whether federal funds will be forthcoming or, if appropriated, will later be “clawed back.” For Santa Clara, federal funds compose about 15 percent of its budget — about $1 billion out of $6 billion — including 70 percent of the funding for Santa Clara Valley Medical Center, which provides hospital care to indigent and underserved populations. In truth, the highly emotional sanctuary city debate arises from a thorny set of genuine challenges that vexed Democratic administrations before they vexed Trump’s. The issues revolve around this question: How much cooperation must there be between officials of the agency now known as Immigration and Customs Enforcement (ICE) and state and local police agencies? It would be unconstitutional under the Tenth Amendment for Congress to simply “commandeer” local officials and resources, which are funded by local taxes, into helping ICE carry out its federal regulatory mandate. 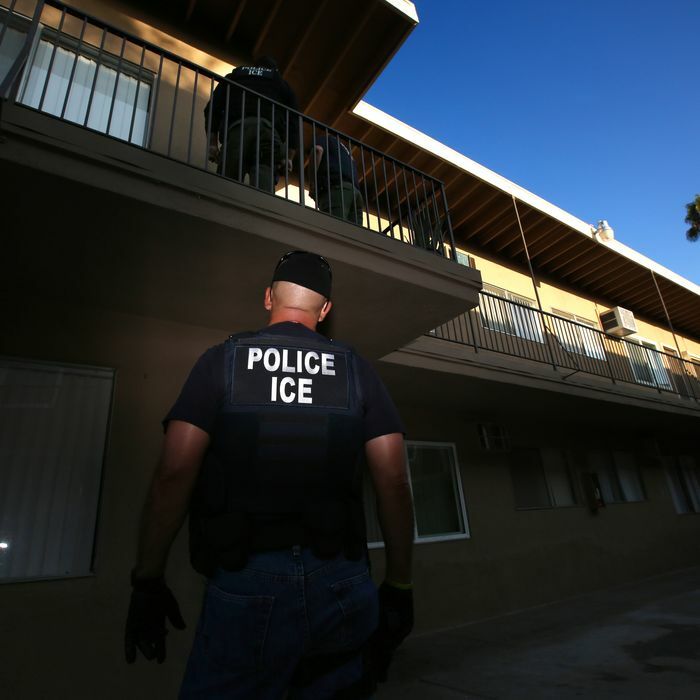 Also, many localities — following approaches recommended by such law-enforcement groups as the Major Cities Chiefs Association — would rather avoid, to the extent possible, getting roped into enforcing immigration laws. They want the trust of immigrant communities, so that undocumented aliens will feel free to report crime, seek health care, and act in other ways that benefit the safety of the whole community. Walking a tightrope, many local police forces have adopted, in essence, don’t-ask-don’t-tell policies regarding residents’ immigration status. They don’t collect that information, at least until someone is arrested. It then requires the attorney general to “ensure” that the black-listed jurisdictions “are not eligible to receive federal grants,” with narrow exceptions. There is no requirement that the federal grants must have anything to do with immigration and, on the contrary, a neighboring paragraph requires the director of the Office of Management and Budget to identify for the attorney general “all federal grant money” being received by a sanctuary jurisdiction. Once it provides money to a state, county, or city and the money is accepted, Congress is barred from imposing new conditions. Nor may Congress impose conditions on federal money that are unrelated to the federal interest furthered by the appropriated funds. And Congress cannot impose a condition that is so coercive that it amounts to “a gun to the head,” leaving the state or local government with no real choice but to buckle to a federal demand. The Executive Order attempts to do all these things. All told, prospects look bleak for this executive order. Unless the Justice Department succeeds in reinterpreting it out of existence, it’s hard to see how judges — including the conservatives — will let it stand. They tend to take things literally.